If you liked Disney’s Sleeping Beauty (1959), then this may or may NOT be up your alley. In that animated movie, I liked the different personalities and caring displayed by the 3 good fairies (Flora, Fauna, and Meriweather). BUT in this tale, they are portrayed as clueless (esp. re taking care of a baby) and bickering among themselves- I didn’t enjoy that. These fairies are Flittle (Leslie Manville from BBC’s North & South), Knotgrass (veteran actress Imelda Staunton), and Thisletwit (Juno Temple, all grown-up from Atonement). These actresses are underused and in certain scenes- just annoying! The first third of the story, which focuses on the child, then teenaged Maleficent, is VERY well-done. We see the fairy as happy, flying (she was born w/ wings), and becoming friends w/ Stefan, a human boy (who accidentally strays into her forest kingdom). Maleficent falls deeply in love w/ Stefan, and we think that he feels the same way. However, he betrays her trust in order to fulfill his ambition one night. Angelina Jolie (who I haven’t seen in MANY things) does a really good job w/ the main role. And I can definitely see how little girls would think her costume was a cool choice for Halloween. Diaval (Sam Riley) is a refreshing new twist on the sidekick. 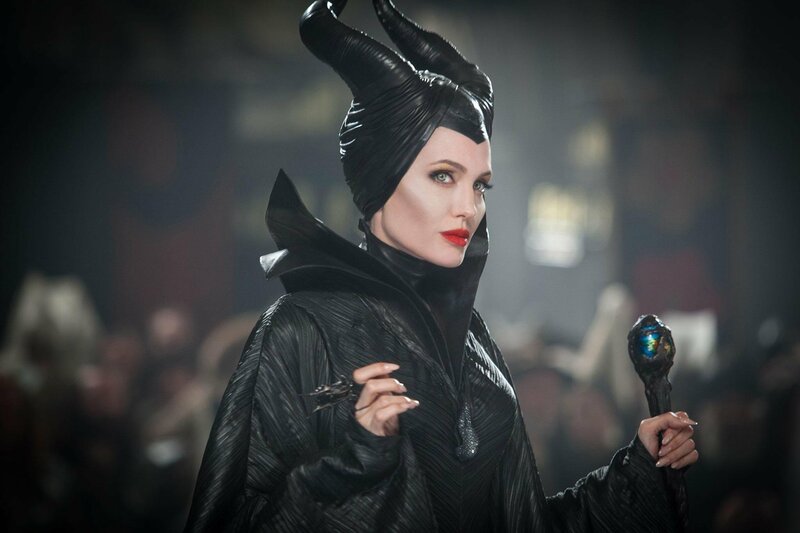 However, Maleficent is NOT a black and white villain in this story. I FINALLY saw this film, which was much talked about this Spring/Summer, last week On Demand! I esp. 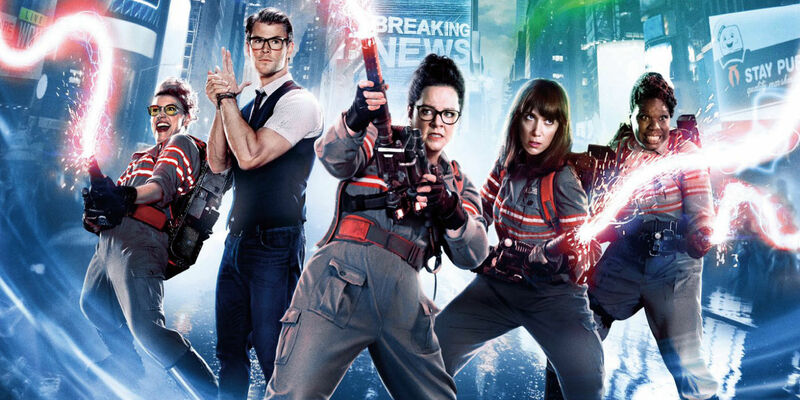 liked the special effects, as well as Melissa McCarthy and Kate McKinnon (BOTH ladies are SO naturally funny). The hate that was thrown toward the all-female lead cast is even addressed in one scene (clever move). The cameos by the earlier Ghostbusters were pretty cool; wait for the end credits to see Sigourney Weaver. This is an alternate universe film, so it exists in a world of its own (NOT a sequel). Yet another reason that some fanboys were pissed off! 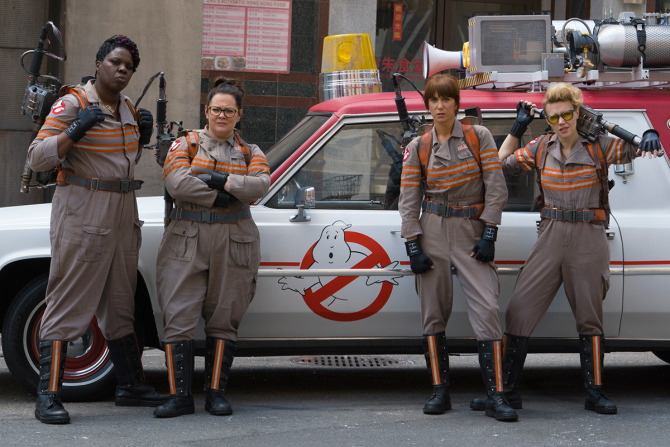 As MANY critics noted, Kristen Wiig’s outfits seem like out of another era (and NOT in a cool, retro way). Chris Hemsworth plays it straight as a Kevin, the himbo secretary. This actually makes him seem VERY natural and funny! Overall, it was an enjoyable film, and there is a sequel planned.